3DSmartJet VX262 is a fully professional unit belonging to the premium segment in its product group. This device was designed for printing of ABS material. 3DSmartJet VX262 is the right solution for rapid prototyping, creating a variety of models where the most important role is played by high quality and precision of execution. - Use the printing process "dedicated" support material VS230-ABS through the manufacture of models after the completion of printing is limited to a minimum and does not cause any problems related to treatments commonly used in other devices, ie. Detaching model of the worktable, removing unnecessary elements Print , treatment of damaged areas like printed model. - Mode automatic, self-cleaning head and remove excess material. Complement of the project are robust steel housing machined laser techniques, built-up display and keyboard as well as light and modern polycarbonate cover. EndiCam - dedicated software designed to communicate with the printer 3DSmartJet VX262. 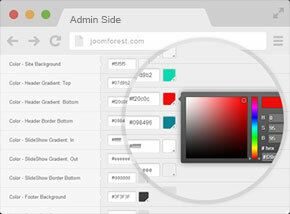 - MultiPrint with the option of any one distribution model on the work table. - Option to automatically position the models on the workbench. - Printing on single and double contour. - Print function with dedicated support material VS230-ABS dispensed from the second head. - Automatic print mode base model, made sequentially from the main layers of material VM230-ABS and support material VS230-ABS ensures trouble-free downloading of printed models from the working table. Electronics ENDIMAC 3DSmartJet is well advanced, modern design, a matter which it is possible to use a number of very useful features flowing with dedicated software EndiCam. Electronics meets the highest standards of quality and safety - the device uses the necessary circuit and overload protection. For convenience and comfort An automatic parameter control of the chamber and the working table. Extruder controls the operation of an independent, dedicated controller. software, user's manual, the device has CE certification. guarantee for a further 12 months, and equipment insurance against accidents. Copyright © ENDIMAC 2019 Drukarki 3D producent drukarek 3D. Wszelkie prawa zastrzeżone. ENDICAM Licensed software developed by ENDIMAC Hi-Tech Industries Global Public License.